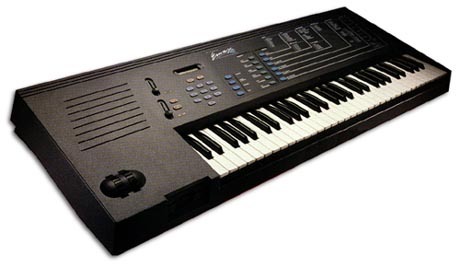 The Emax is a classic sampler workstation from E-mu. It is sort of a next generation Emulator II, it's not as good as an Emulator III but it's more powerful than previous EII's. The Emax can be found in several forms: the Emax, the Emax Rack, the Emax HD (built-in 20MB hard disk, pictured above), the Emax HD Rack (pictured below) and the Emax SE (Synthesis Enhanced) with a built-in synthesizer section. The Emax's editing system will be familiar to users of E-mu's excellent ESI series.